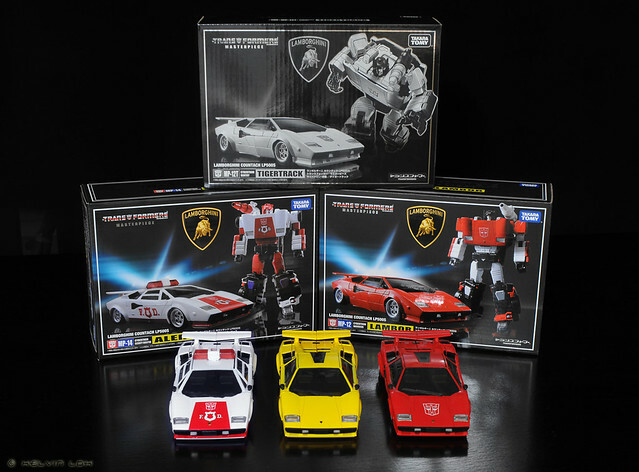 When Masterpiece Lambor / Sideswipe was announced, every TF fan was certain the same mold would be used as all the various G1 recolours. Sure enough, MP-14 Alert was announced soon after. The next recolour after that is yellow. 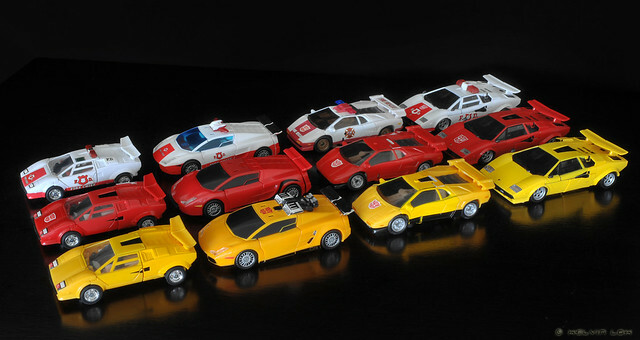 Thankfully, it is not Sunstreaker, but Tigertrack instead. 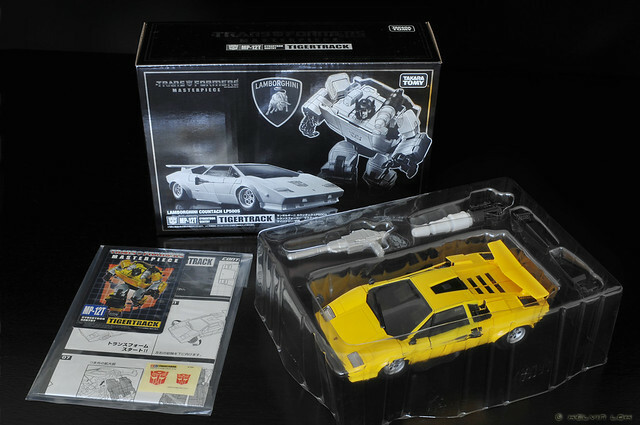 Masterpiece Lamborghini Countach LP500S. 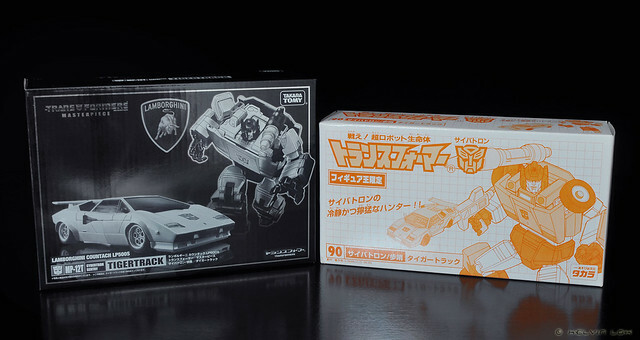 Unlike Sideswipe and Alert, Tigertrack's Autobot logo is not painted on the hood. Instead, 2 stickers are included (see first photo) I think I'll leave mine bare.